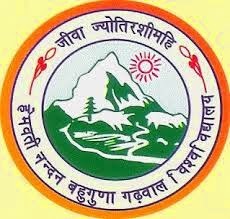 The Hemwati Nandan Bahuguna Garhwal University has recently declared the results of the BA Part 3rd Back Paper Examination 2016 and M.Sc Chemistry 4th Semester Examination 2016. So now all the students who were appeared in the given examinations can easily check their results online from here. The result is also available in the official website of the HNB Garhwal University. The Garhwal University is a central University of Uttarakhand state and it also affiliate to many other universities in Uttarakhand. Well, here we are proving you web links by which you can easily download or check your HNB Garhwal University BA Part 3rd (BP) & M.Sc Chemistry 4th Sem Exams Result 2016. Just note the given points and then you will able to check or see your results and marks details. 1. First of all open the given links as per your courses. 2. Fill Your examination roll number on given section. 4. After all you will get your result online. Click here for BA Part 3rd Back Paper Updated Examination Result 2016. Click here for M.Sc Chemistry 4th Semester Examination Result 2016. Keep in touch with us for more updates about Examination, Results and Universities News.